but then it was also the Easter half term. This is our second visit to my parents new house/new village and this time the kids felt more at ease with it and didn’t play up as much as they did when we first visited in October last year. The flight over there was packed to the max but due to Molly-May eligible to a seat (and costing the full ticket *boohoo*) we had a row to ourselves which was nice and very much needed. 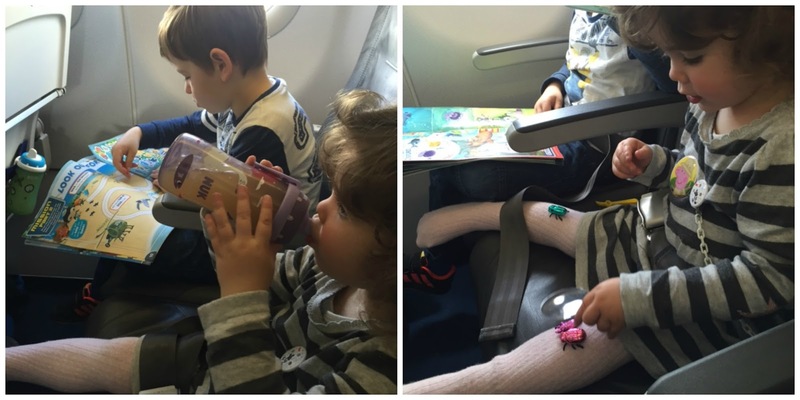 Finn is the perfect child to fly with he just loves it from the moment we drive past the model air plane before we enter the tunnel in Heathrow all the way to the moment when we exit the baggage hall to be greeted by his exited Oma&Opa in Munich. You can give him a Octonauts (or his newest obsession Andy and his Dinosaur Adventure) Magazine and he is happily occupied all they way through the 1.15min flight. Not so much his sister who i tempted with a Peppa Pig Magazine, clearly too young to be the slightest interested whats inside it and just wanting to play with the toys which lasted a whole of 10 minutes, that’s nearly 4£ down the drain! There is the tempting of snacks until the bag is empty, various toilet trips so she can play with the water tap, plenty of drinks and of course seat swapping, poor Finnster was asked about 15 times to give up his seat because she wanted to sit on the window and then back again,….if she would have it her way she would happily run up and down the plane all the time but unfortunately that’s connected with pushing somebody’s laptop button, trying to nick their drinks or snacks or if you are a unlucky child even their toy will be taken….yep so much fun! Now that Molly-May is hardly going into the Carrier anymore its harder for me to control her and i did try some reigns which we both didn’t like so i decided it was time for our last ever pushchair, shock horror I KNOW!!! I don’t even want to say it out loud but she might have another 6 month or so left before she is fit enough to go without one but until then i decided to bite the bullet and bought one of my favourite ones on my list a Babyzen YOYO. Even though i bought it preloved it was still a big chunk of money so i was praying that she will like it but hey she is my daughter after all and she has fallen in love with “my buggy” as she calls the yoyo straight away and even had a nap in it once already! And it came in more then handy on our recent trip. With other parents leaving their mostly huge travel systems/pushchairs at the gate to be collected and *thrown* into the bottom of the plane i packed up the yoyo in the little non padded travelbag swung it over my shoulder and stored it in the overhead locker above my seat! Ready to be used for a very tired toddler when we left the machine in Munich! Babyzen YOYO for the win!! 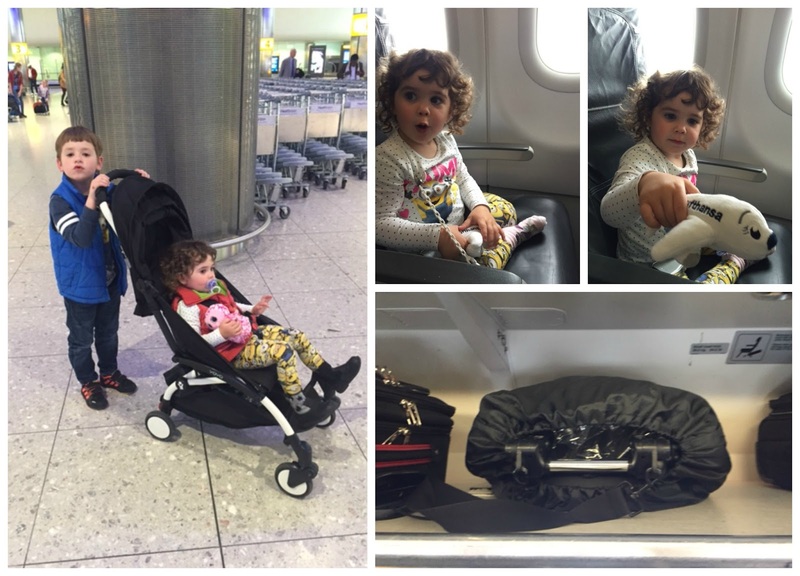 With my previous small Maxi Cosi Noa i always had the struggle to convince the Flight attended that it will fit in the overhead locker but with the yoyo i wasn’t even questioned what i had in the bag! Once we arrived at the new house it was time to discover the kids new scooter which Oma&Opa bought for them as well as loads of other fun to be had with the neighbours tractor and on the playground, rediscovering all the toys and books and having fun in the garden in the glorious 25 degree sunshine we had for a couple of days! Finn also manage to find a new friend in a neighbour’s boy who is the same age then him which is lovely for him. 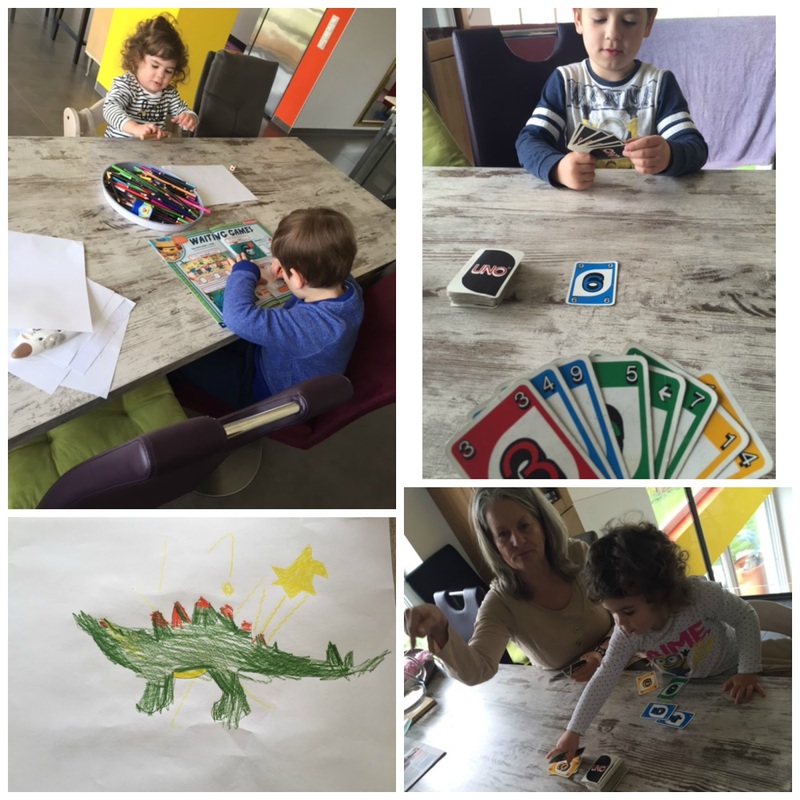 Throughout the visit my Mum teached Finn and even Molly-May how to play Uno and well he learnt from the master so far he beaten me 5 times in a row (before i decided that’s it no more card games!) I am still fascinated how much Finn loved to draw since starting school nearly 2 years ago (in Nursery i always had to beg him to join into the painting activities with his teachers). 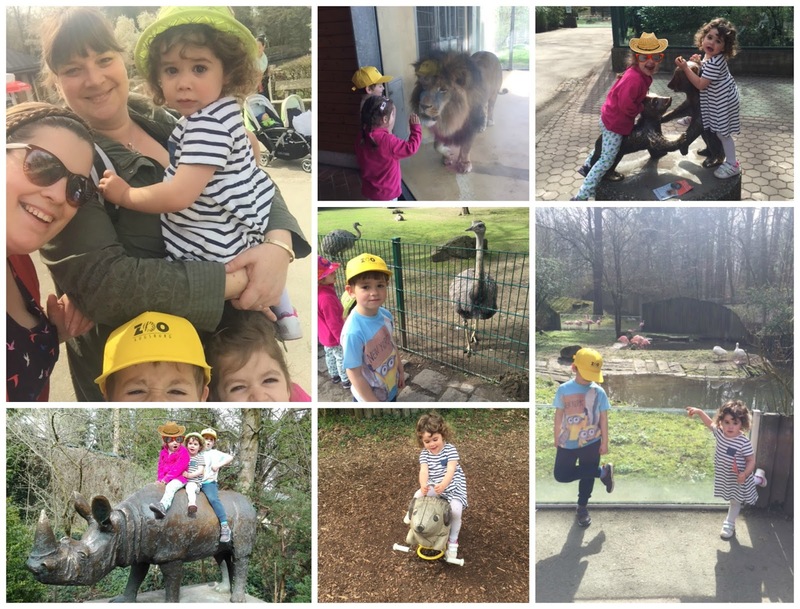 We also manage to meet up with my dearest friend Heike and Lottie at the Zoo in Augsburg which is a rather small Zoo but still plenty to see for our little explores and a nice day out to catch up! Heike and me meet many many years ago at a Playground in London and i talked to her when i heard her talking to her charge in German. I have been her bridesmaid at her wedding when i was about to pop with MM and in return Lottie was a beautiful bridesmaid on our wedding last summer! 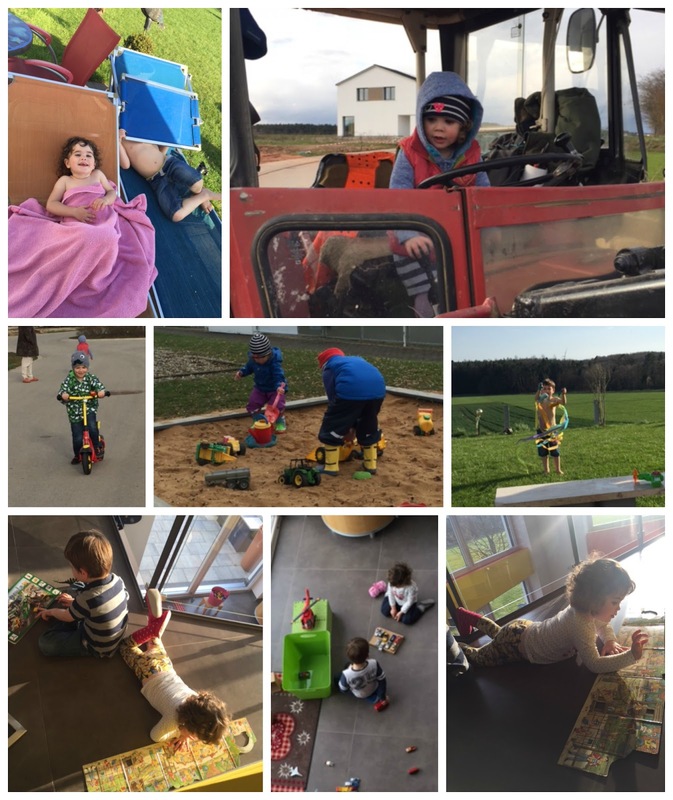 Heike left the UK to be closer to her family 2 years ago but thank god for whats app and trips like this we are able to keep in contact and its great to see that the kids get on just as well as last time when they stayed at ours in the UK for a little holiday! After 9 full days packed with as much fun as possible and even some lay ins and child free times for Mummy it was time to say Goodbye and return back to Mr. C. but we will be back very soon for the wedding of the year of my cousin and her lovely fiancee! YAY who doesn’t like a good family wedding, i cant wait! !